Waking up for the second day of our tour was quite unnerving. The morning downpour was so intense that the sound of the rain ended my tranquil slumber at an early time of 6:00 AM. Fortunately, the rain eventually subsided and the blue skies were up above once again. The touch of the sun was a bit refreshing to our salt laden skins as we boarded our pump boat for our first destination which was Pangalusian Island. Once again, excitement filled the air. 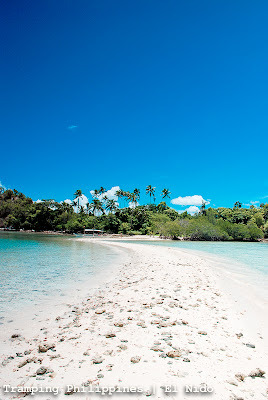 It was a small private resort that has this beautiful white sand beach covered by tall-standing coconut trees. 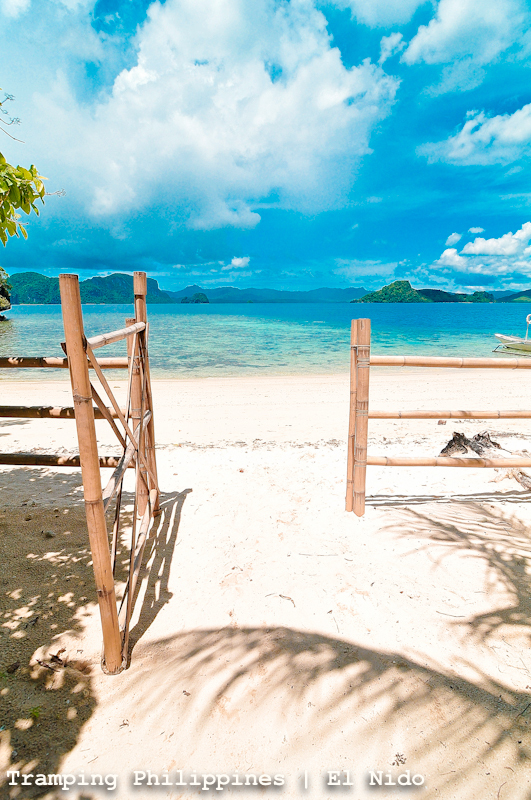 Although swimming here would be an added bonus, the island was supposedly closed for the public. 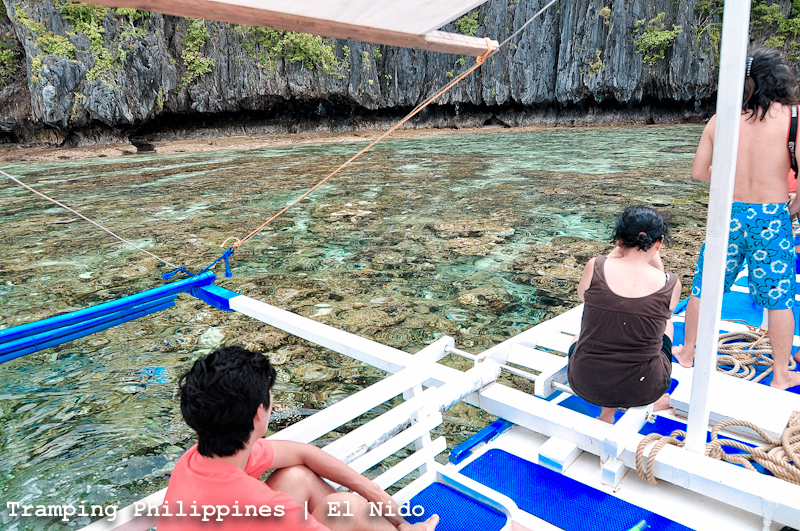 Nevertheless, snorkelling from afar was an incredible alternative. 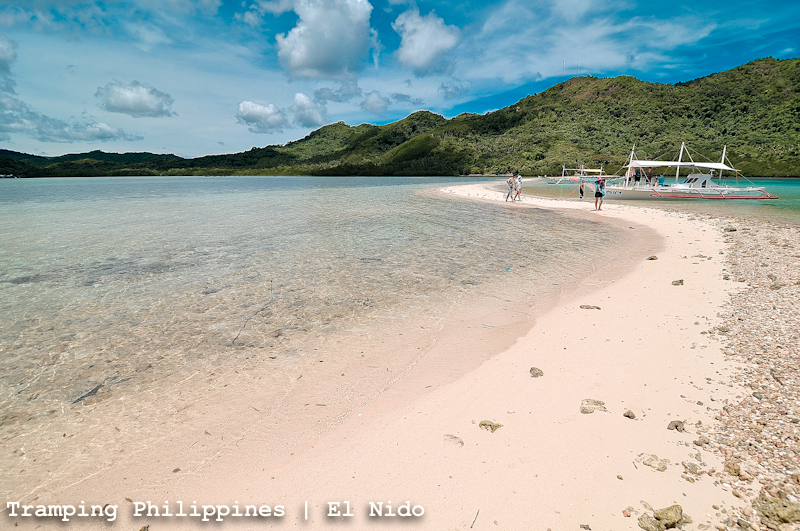 It can be compared to the open-sea snorkelling we had at Coron’s Siete Picados. We had so much fun feeding swarm of colourful fishes such that we unexpectedly swam almost a hundred meters away from our anchored pump boat. 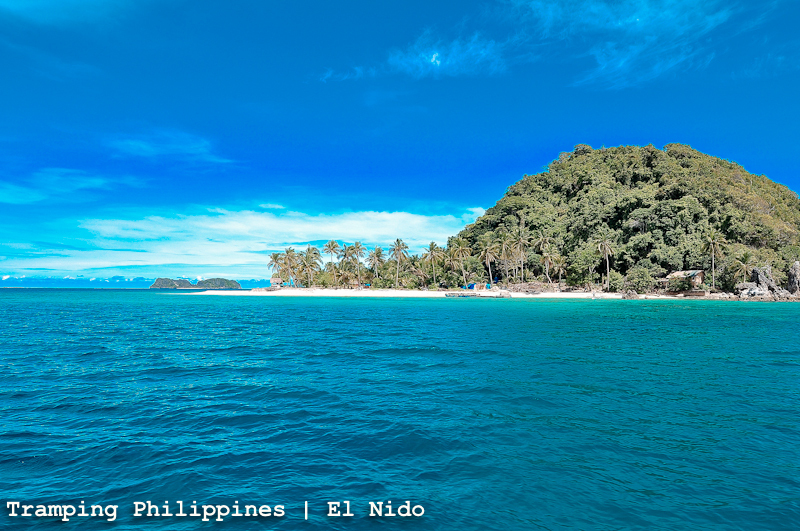 After almost half an hour of swimming, we went directly to the next stop which was the astounding snake Island. 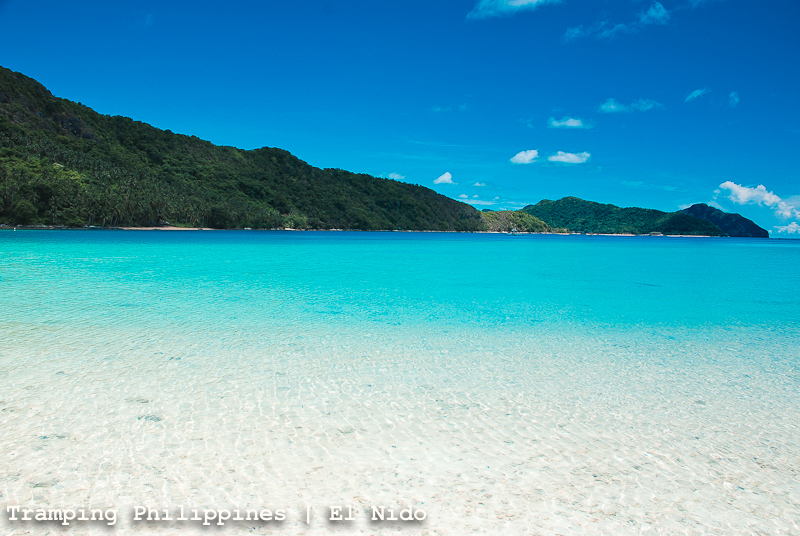 As the white sand bar swirled through the blue sea, it can be depicted as a snake trying to swim from one island to another until it was connected to both. 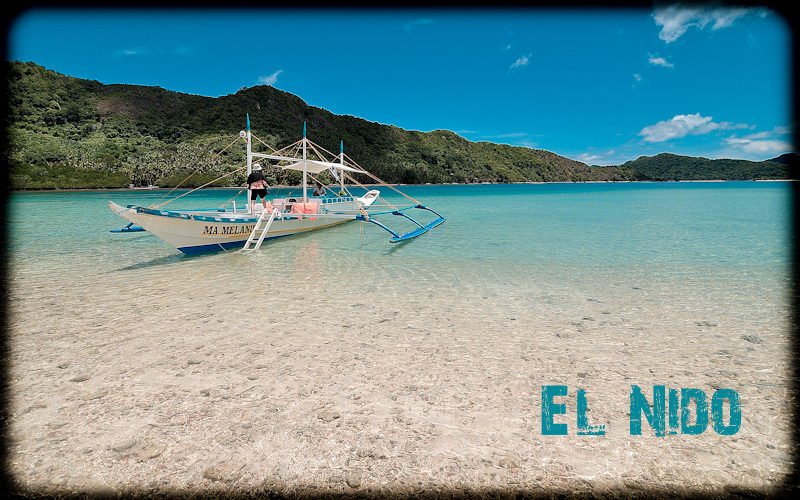 Like Coron’s Bulog 1 and Bulog 2 Islands, It was absolutely a feat of nature. We went up to the view point to capture the panorama from atop. 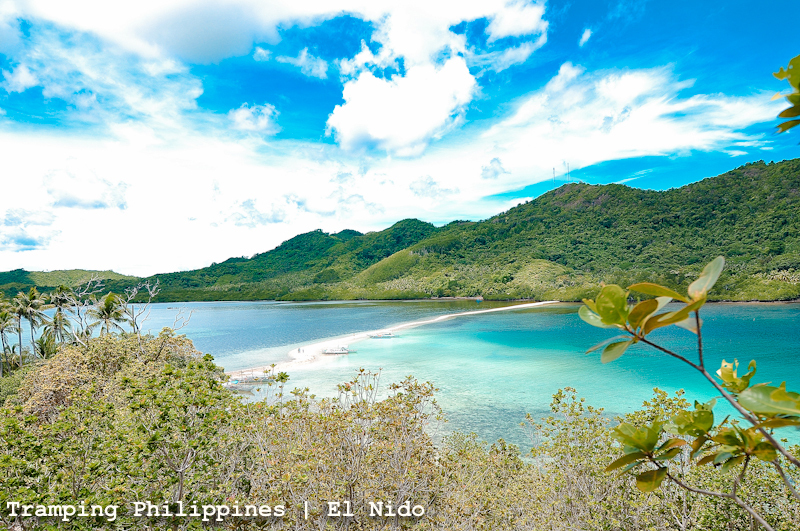 Back-dropped by the surrounding islands from afar, an astonishing sight can be viewed from the peak of this magnificent island. We took pictures and decided to stay for a while to swim. Our pace for this second tour was more relaxed than the first. 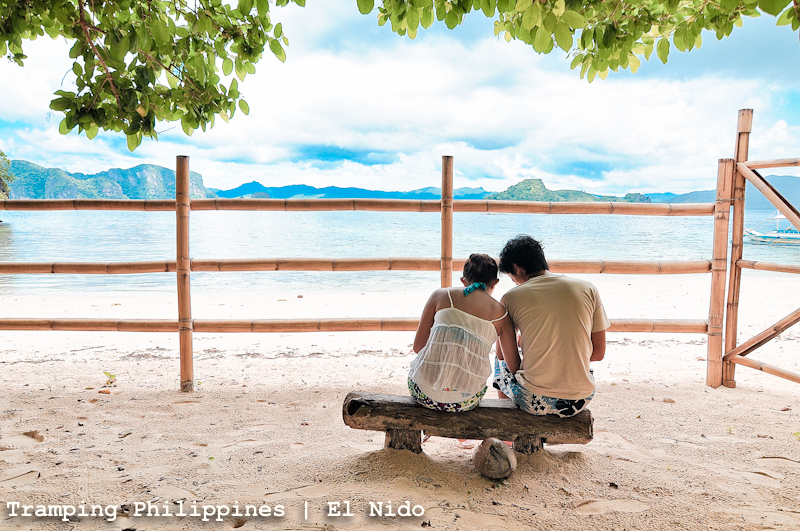 The places were near each other thus, giving us time to enjoy every destination as much as we can. Also, the heavens gave us sunshine all throughout the day. It was a welcome relief compared to the menacing clouds of our first day. It was again starting to be the best vacation I had at the time. 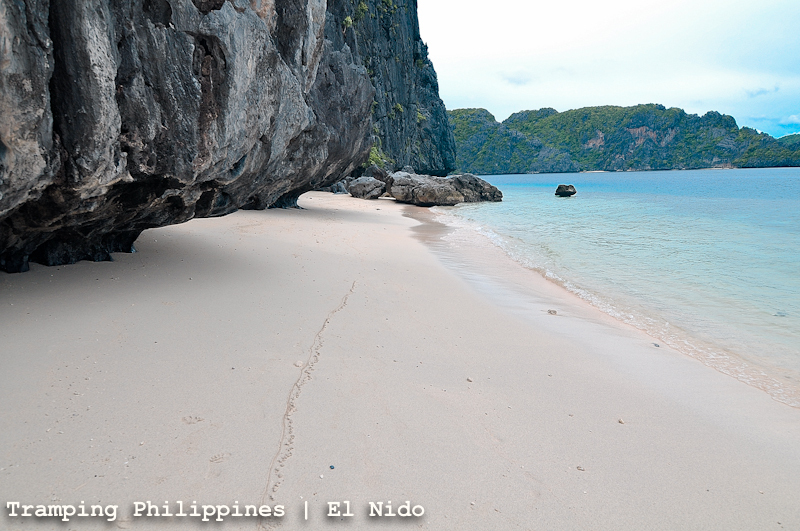 El Nido was certainly taking over my heart. Cadugnon Island was definitely the most remarkable destination in my personal El nido experience. 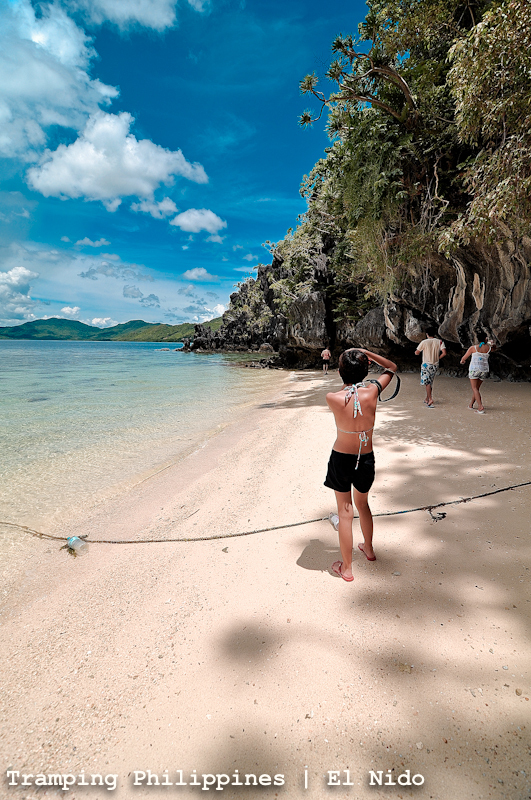 I think this was the only place where I can’t think of any comparison to that of our Coron trip. 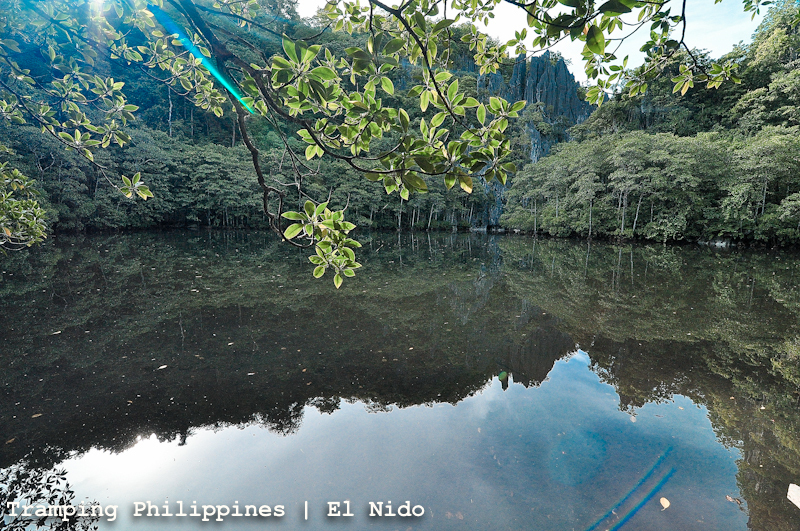 As we were about to dock, the sight of the limestone cliffs covered by lush vegetation was reminiscent of the movie Jurassic park. I was absolutely stunned with the sight as I imagined a dinosaur suddenly peeking through the trees. Fortunately for us, it was just my mind’s fantasy as we were destined to have our well-prepared hearty lunch at this place which was again a welcome treat. 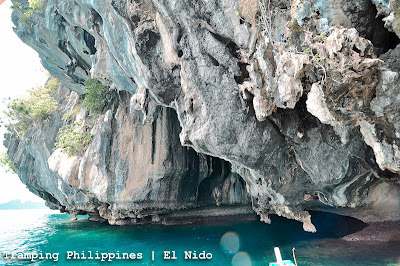 As our boatman prepared the meal, our guide brought us inside the mini cave of the island. Even though the place was just small, it was still an amazing sight to behold of the illuminating sun rays beaming through the small holes strategically located at the ceiling of the cave. 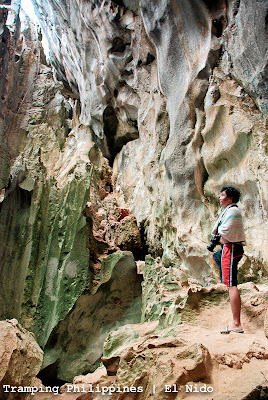 Likewise, the unpleasant smell emitted by bat guano did not in any rate diminish my awe on its amazing limestone formations. We took pictures, went out and finally ate our lunch for the relaxed second day. 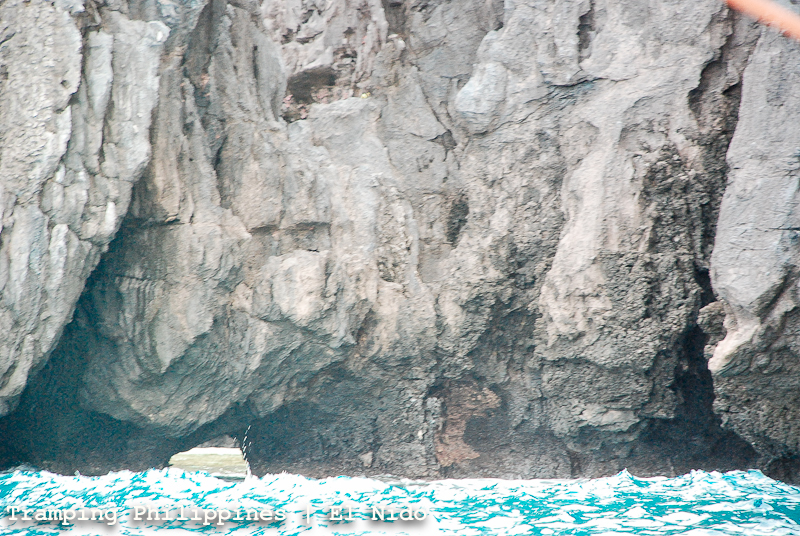 After the feast, we boarded our pump boats and drove by the limestone formation called Cathedral cave. 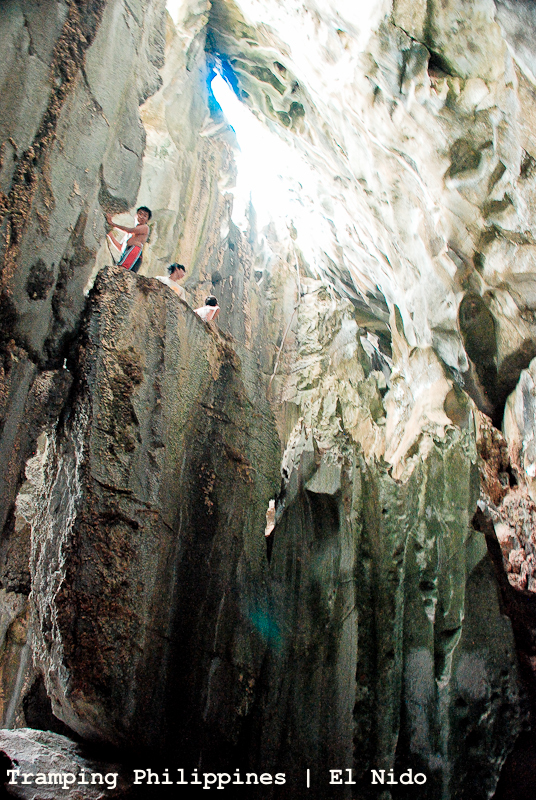 It was a bulked up limestone formation that formed a dome-like structure. 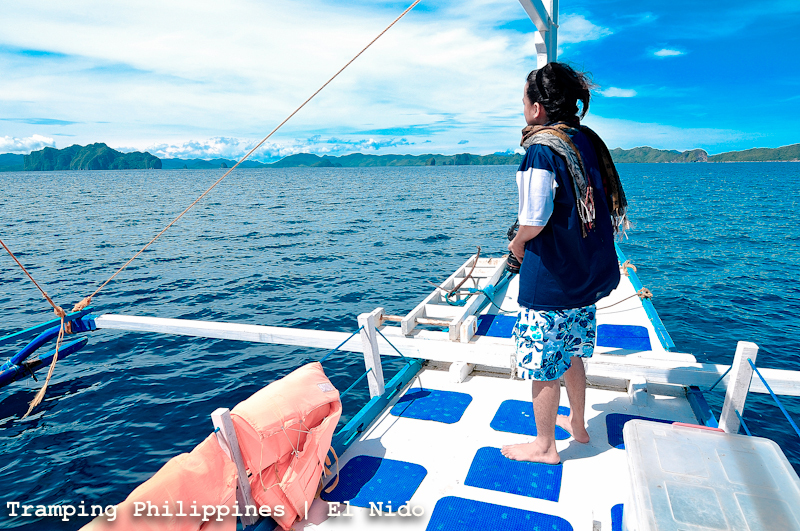 Our guide told us that it was a good spot for diving, giving us more inspiration to take up our license as early as possible. We headed to Pinagbuyutan Island afterwards and ended our relaxing day with a leisure swim. We stayed for almost an hour at the beach but once again, the threat of rain was looming. Not to be forced out again by the downpour, we ultimately decided to head back to mainland for dinner and a good night’s rest. The 3rd day was the culminating tour for our vacation. 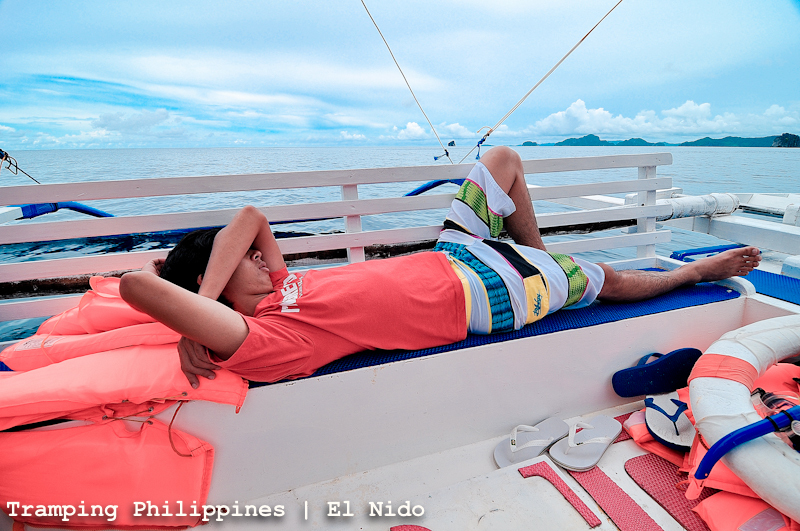 It was a leisure day as we allowed the refreshing air coming from the warm seas of El Nido touch our battered bodies. 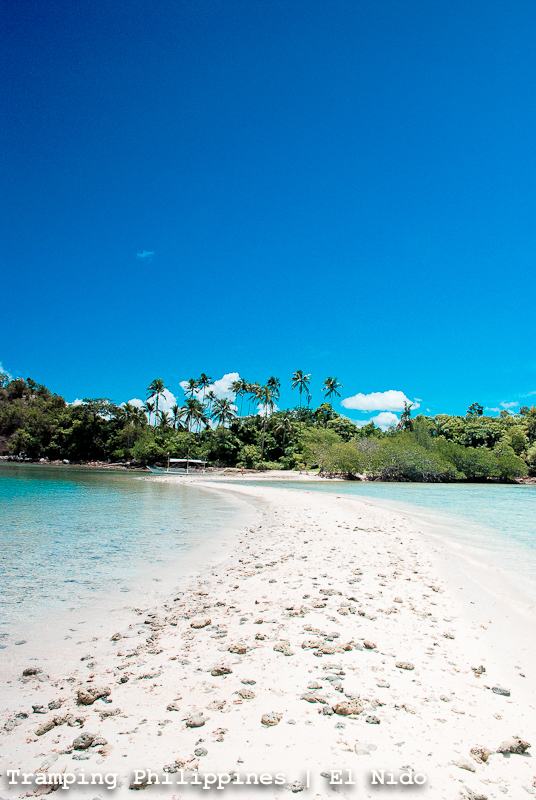 To start the third day, we first headed to a very far place named secret beach. Unfortunately, the waves from the open ocean were so intense that swimming through the small hole was dangerous for non-divers like us. 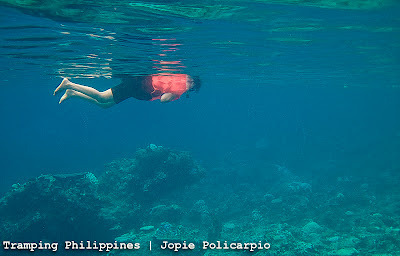 Kuya Jonel, the master diver that he is, decided to go and take pictures for us to see the place. After waiting a couple of minutes, we finally went to the heart-shaped Island of Matinloc. An eerie feeling engulfed the island as we strode and traversed the ghost-town like place. Here, a shrine was constructed by a religious visionary after discovering that the whole piece of land was shaped like a heart. 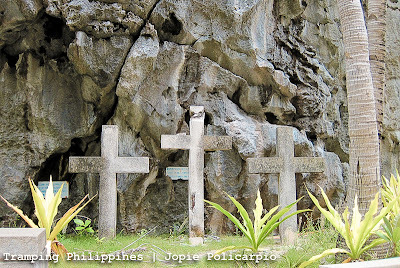 Edifice and statues surrounded the whole area strewn with dead leaves reminiscent of an abandoned cemetery. It was creepy yet inspirationally stimulating. We had lunch at certain island near Matinloc. Although, I forgot the name of the place, it was still a nice spot to eat lunch. We all had a dip before we ate the meal but the relaxing feel of the island was so overpowering that I just decided to take a breather on one particular spot. After the lunch, we took a brief stop-over at the limestone covered area named hidden beach. We had to wade through the waters to get inside the area as the low tide caused our pump boat to be anchored from afar. 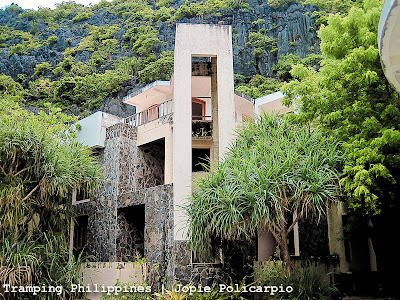 With effacing lime stone cliffs surrounding the beach, the echoing of the strong breeze can be heard ten times louder than normal. It was like an amphitheatre of sorts. We stayed only for a few minutes and went directly to the last stop of our vacation which was the Helicopter Island. Savoring the white-sand beach and blue waters, I felt fulfilled for having ended the best vacation I had. 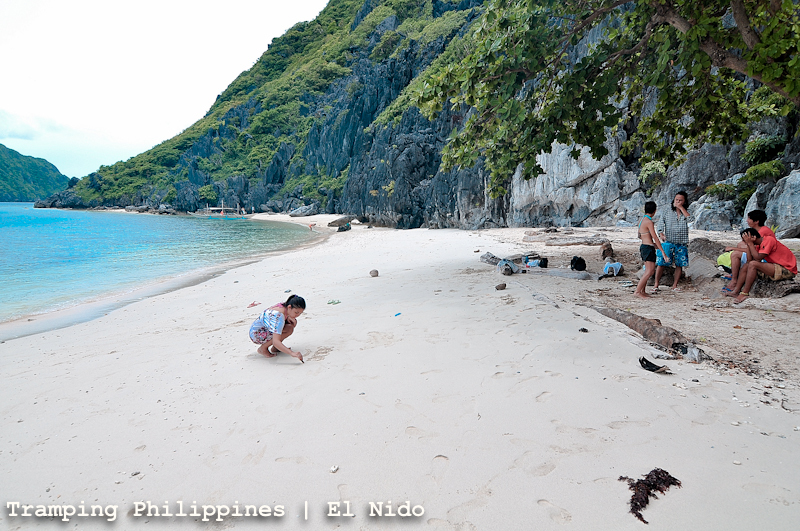 We made it to 15 destinations and relished the whole El Nido Experience. We were like ‘the’ tourists in our own country as a swarm of people from other countries engulfed the whole place. 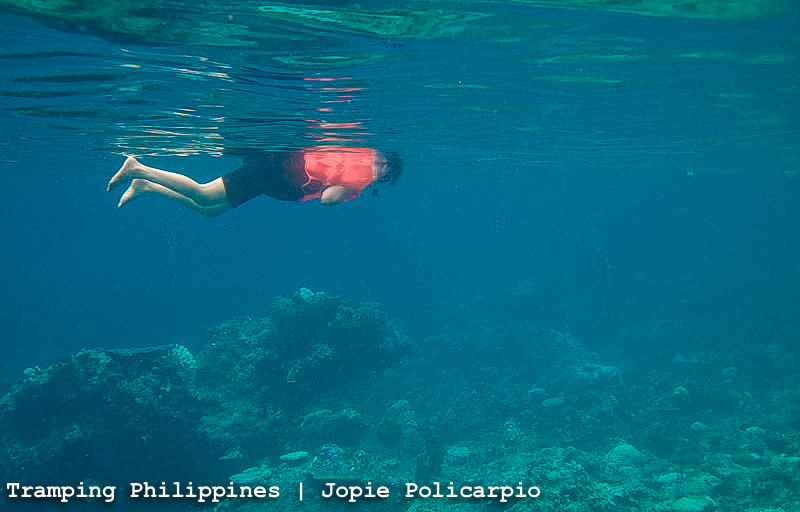 We ended it with a simple swim as the sun was nearing the horizon. It was the perfect finish to the week-long experience we just had. 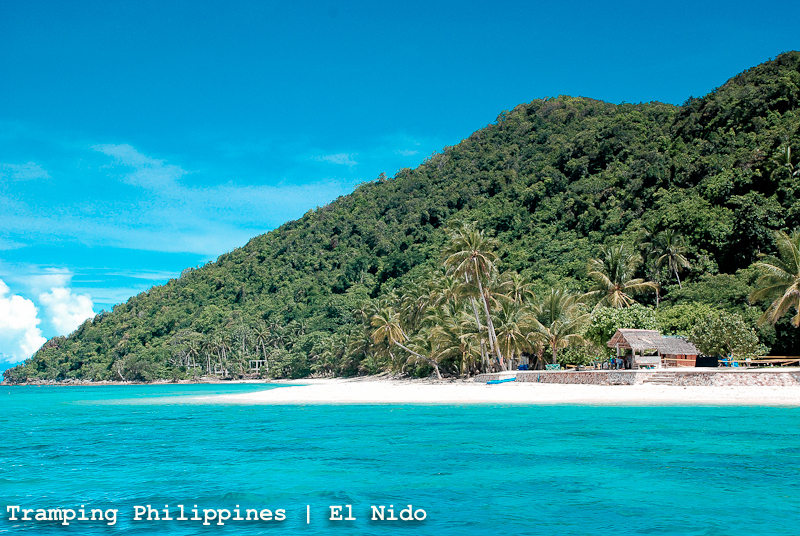 I reckon, declaring a winner between El Nido and Coron is a bit unfair. It can certainly go both ways in terms of beauty but still, it all sums up to the experience you had while traversing both places. Coron may have the best lake in Kayangan but if the memories you had during your time in that certain place was not enjoyable then you may come up with a different conclusion compared to others. 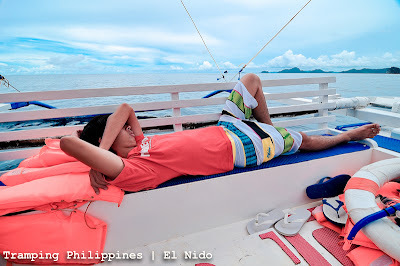 As for me, I think the time I had in El Nido is by far the best vacation I had. The 5-day rest it gave and having my mom along were big plus factors. The places may be as beautiful as what I saw on other trips but the long breather of a vacation gave us enough time to unwind. Nevertheless, I still have this lingering feeling that I haven't explored Coron enough. 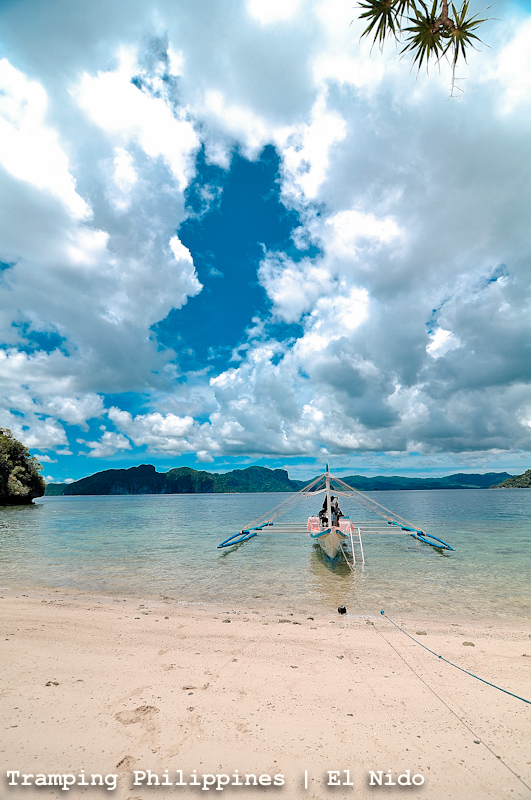 I'm still longing for that chance to once again step on its port and start a new adventure on its sea. Indeed, Coron is still requesting for a rematch on recapturing my heart after El Nido ultimately and decidedly won me over. Yep. TaoExplorations is expensive but i think it will be a different kind of experience too. I still do want to join tao sometime soon! 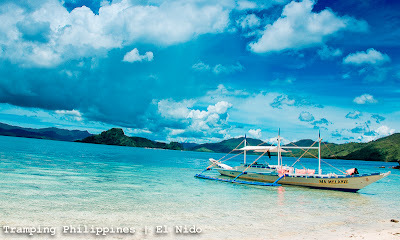 we've been planning our return trip to coron, hopefully it will be soon since its been years since our first trip there. We'll see if our schedule is ok on that date. Thanks! Just love the photos and the prospects of El Nido looming in the horizon! 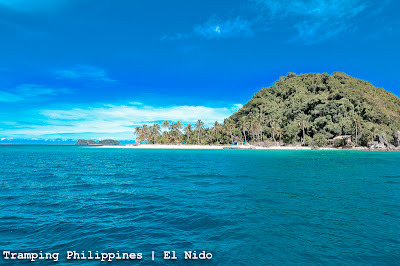 Thanks for this post and will surely be handy for me as I am never set foot on Palawan and El Nido. 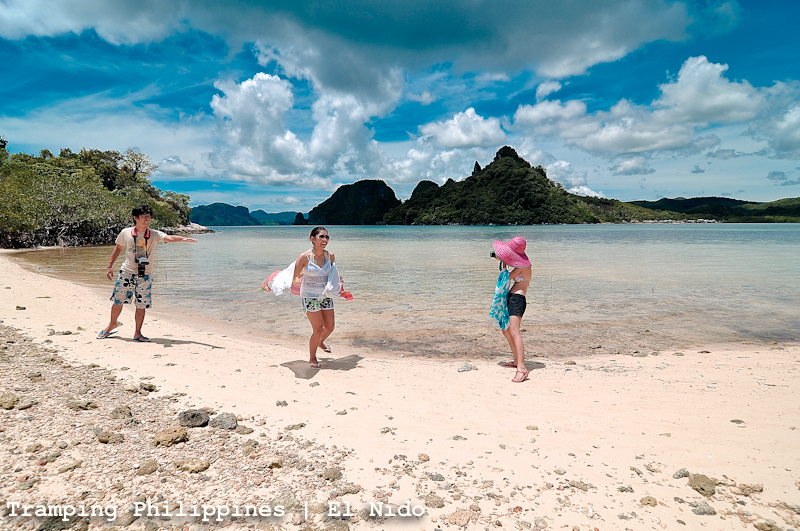 super love the photos Dane! 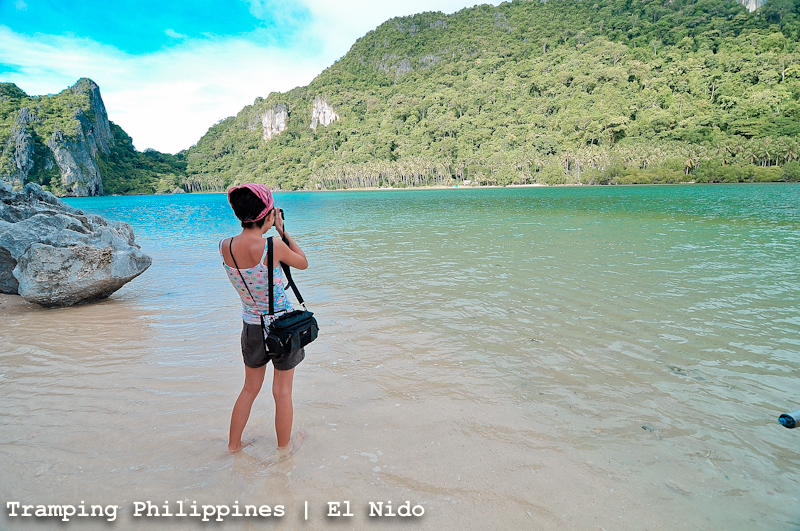 may araw din ang El Nido saken! :) tsaka blogger din pala mom mo? cool! El Nido is one of the most memorable destination we had last year. It's good to know you had a good time here.